Coe makes it possible. You make it happen. FACULTY: 90 full time, with zero teaching assistants; 95% hold the highest degree in their field. 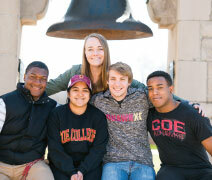 DIVERSITY: Coe students represent most of the United States and over 20 foreign countries. 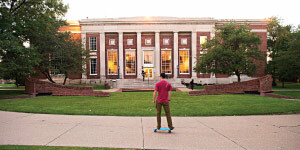 Nearly 30% of students are multicultural. FINANCIAL AID: 98% of Coe students receive financial assistance. Year after year, nearly 100% of reporting Coe graduates have been employed or in graduate school within one year of graduation. Coe has produced 24 FULBRIGHT SCHOLARS in the last 6 years. The Princeton Review named Coe one of the top 25 best schools for internships in the us. More than 50% of coe graduates enter law school, medical school, or graduate school within three years of graduation. 100% of coe students are guaranteed real-world experience before graduation by completing an internship, research, or off-campus study program. Coe is ranked in the top 20%of all colleges and universities in the nation. 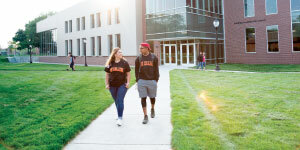 Whether you’re an athlete, environmentalist, poet, physicist, or all of the above, Coe College offers superb academic and social opportunities. Coe’s location in a thriving urban setting enables student growth and success. Established in 1851, Coe has a distinctive history of excellence that allows academically motivated students to reach their highest potential. A Coe education is complemented by experiences: internships, off-campus study, individual research with faculty, guest lectures, and personalized career planning. Recent internship locations include the Chicago Board of Trade, Google, NASA, the United States Congress, and Saturday Night Live. Research opportunities have taken students to laboratories in the United Kingdom, Germany, China, and many other locations around the world. Students participate in one of over 40 off-campus study programs in Washington, DC; New York City; and dozens of foreign countries. With all the possibilities Coe offers—including numerous academic scholarships and abundant financial assistance opportunities—all academically motivated students can make it happen at Coe.